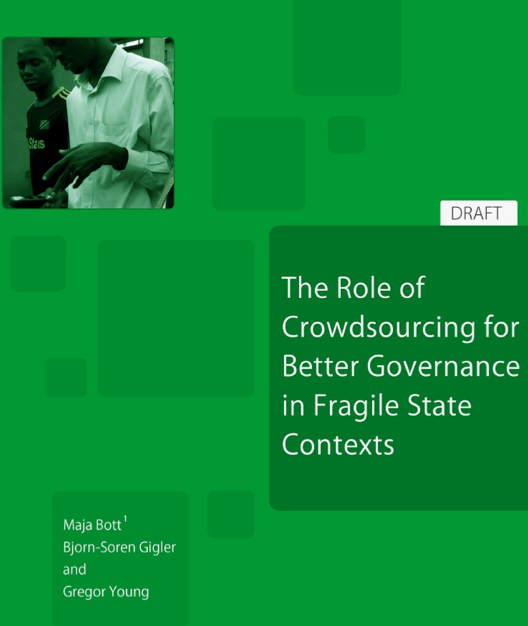 I was recently asked to review this World Bank publication entitled: “The Role of Crowdsourcing for Better Governance in Fragile States Contexts.” I had been looking for just this type of research on crowdsourcing for a long time and was therefore well pleased to read this publication. 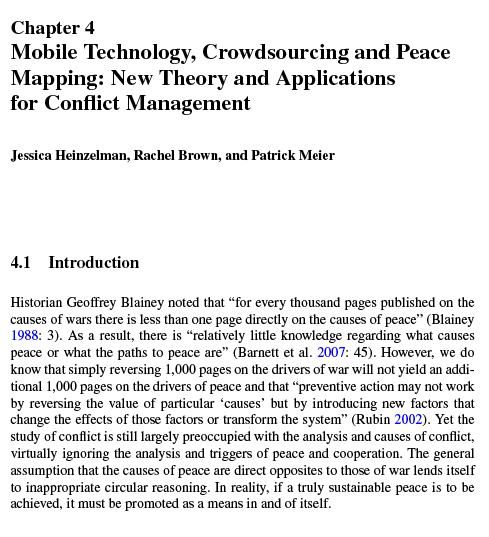 This blog posts focuses more on the theoretical foundations of the report, i.e., Part 1. I highly recommend reading the full study given the real-world case studies that are included. 1) By sharing, debating and contributing to publicly available government, donor and other major actors’ databases, data can be distributed directly through customized web and mobile applications and made accessible and meaningful to citizens. 2) By providing independent platforms for ‘like-minded people’ to connect and collaborate, builds potential for the emergence of massive, internationally connected grassroots movements. 3) By establishing platforms that aggregate and compare data provided by the official actors such as governments, donors, and companies with crowdsourced primary data and feedback. 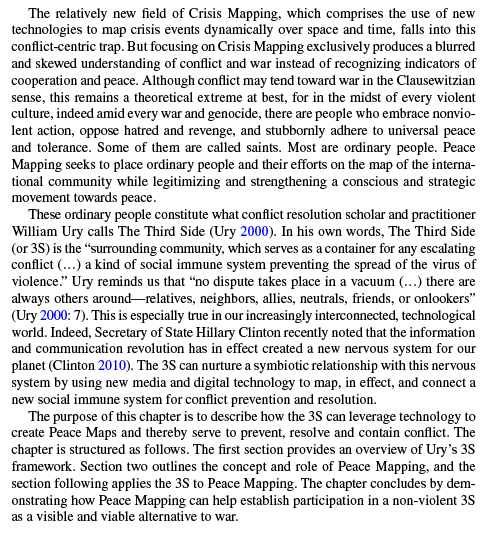 The second part of the report includes a section on Crisis Mapping in which two real-world case studies are featured: the Ushahidi-Haiti Crisis Map & Mission4636 and the Libya Crisis Map. 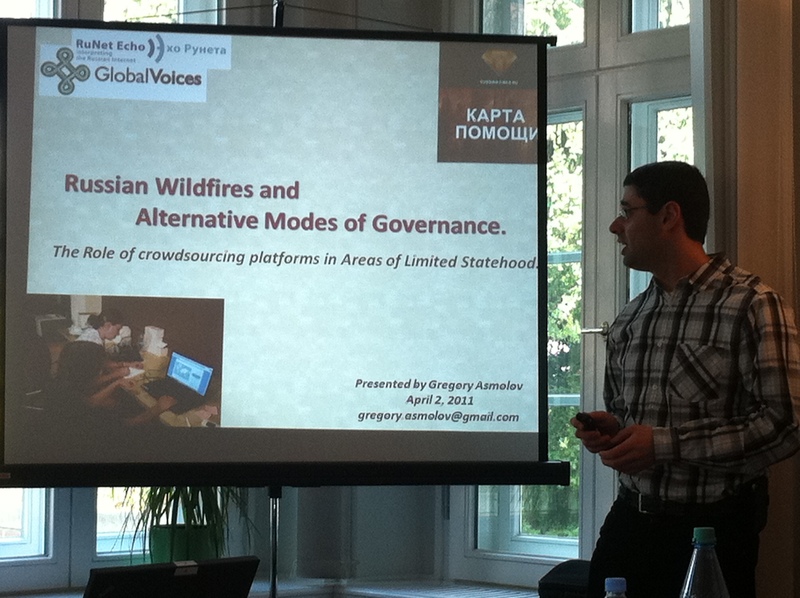 Other case studies include the UN’s Threat and Risk Mapping Analysis (TRMA) initiative in the Sudan, Participatory GIS and Community Forestry in Nepal; Election Monitoring in Guinea; Huduma and Open Data in Kenya; Avaaz and other emergent applications of crowd-sourcing for economic development and good governance. 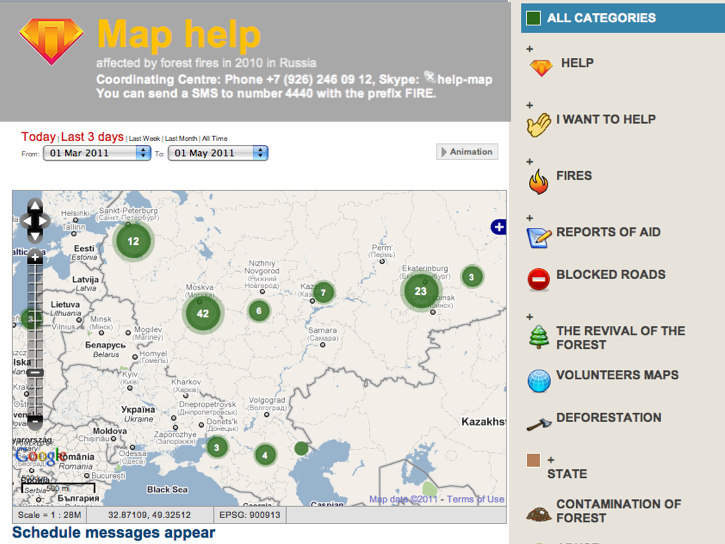 The third and final part of the study provides recommendations for donors on how to apply crowd-sourcing and interactive mapping for socio-economic recovery and development in fragile states.